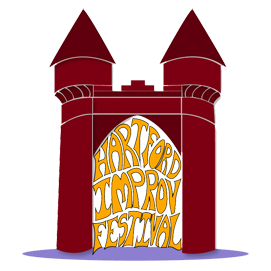 Sponsors for the Hartford Improv Festival enjoy many benefits (besides the knowledge that your donation supports Connecticut's only improv festival). No matter what level your contribution, Sea Tea Improv will make sure you and your business are featured prominently throughout the festival. All levels can be tailored to businesses or individuals. Media Sponsorships and In-Kind Donations are also available. Please contact festival@hartfordimprov.com for more information on those benefits.